Karla Yungwirth Designs: FCCB #238 - Give Thanks! FCCB #238 - Give Thanks! I am soooo enjoying my new Cricut Explore and all the wonderful possibilities in Design Space! And, did you hear??? In January there will be an app for the iPad for Design Space! I am very excited :) Anyway.... for my project this week I used Design Space to create my card. Since we already celebrated Thanksgiving in October here in Canada, I wanted to make a special Thank You card. I used 'The First Few Years' cartridge to cut the outside circle, blue background circle and the oval. I welded two of the outside circles to create a circular card base. I cut a rectangle from the 'Days and Dates' cartridge and sliced it to match the inner circle (cool feature! ), and then I cut the banner from the 'When I Was A Kid' cartridge. I love how easy it is to search for a particular image and then get a visual of exactly what cuts are available. I sponged all my cuts with Distress Inks before gluing them all together. This cute little fox is from a Gorguss Girls stamp set - I coloured him in with Prismacolor Markers and used the leaf and star stamps also in the set, which I coloured with Distress Markers. The inner silver circle was drawn with the Sketch feature on the Explore, instead of cutting it out. I popped up the oval with foam dots on top of the grey banner - which I sprinkled with a little Tim Holtz Pewter Distress Stain (sooooo pretty). Inside, I cut another scalloped circle and Sketched the Thanks sentiment inside. It was actually a cut that said Many Thanks from the 'Days & Dates' cartridge and I ungrouped it in Design Space and changed the Thanks cut to a sketch. The outline was then sketched with the silver Cricut marker and I coloured it in. Thanks so much for joining me today!! I had so much fun creating this card - and I hope you will check out the FCCB blog to see what all the other Design Team members created. You can even enter your own to have a chance to win an awesome prize! What an adorable card! Great job on it. Thanks for playing along with us at Scrapping Everyday Miracles. 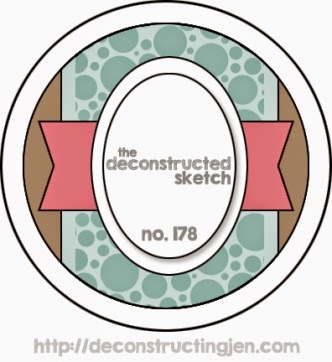 We so appreciate you're sharing your project & creativity at 613 Ave C Karla! What a unique design - and I love the 'hint' of the sky and earth by putting the two stars and the leaves with the fox! Nicely done! hi Karla! such a sweet circle card, I adore the inside...gorgeous! I am thrilled you played along with Simon Says Stamp Wednesday Challenge, join us again this week for the fun! FAB photo of you and your girls too. I love all the Cricut cuts you used, and that fox image is so totally adorable-great job! Cute card! Thanks for joining us at SEM! what an adorable card! Thank you for sharing it with us at Scrapping Everyday Miracles! Such a cute card Karla...so glad you linked up with us for our SEM theme challenge this month! Thanks for being a faithful challenge participant...we appreciate you!! Pretty Cute Stamps Black Friday Weekend Sale! Milk & Cookies Happy Birthday! Pretty Cute Stamps Feature - Llama Birthday Card! Oh What Fun Snow Globe and Stocking Tags! Pretty Cute Stamps - November Release Blog Hop!! FCCB #237 - Embellish Me! Pretty Cute Stamps - November Sneak Peek!! Happy Birthday Cricut Explore Card!